Google has announced Chromecast, a tiny two-inch wi-fi-enabled dongle that mirrors content being played nearby on a tablet, smartphone or computer. Running “a simplified version of Chrome OS,” the device hooks up to your wi-fi network and works with Android tablets and smartphones, iPhones, iPads, Chrome for Mac and Chrome for Windows. 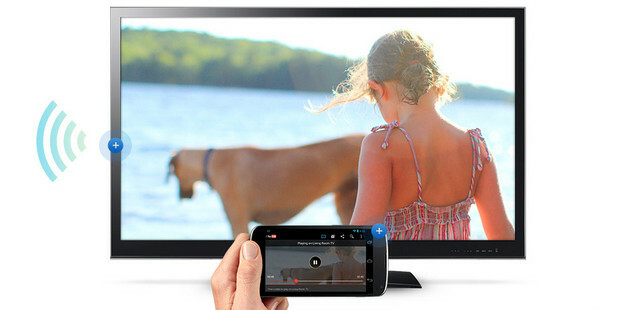 Compatible apps come with a “Cast” button that allows users to push video to the big screen and control playback etc. 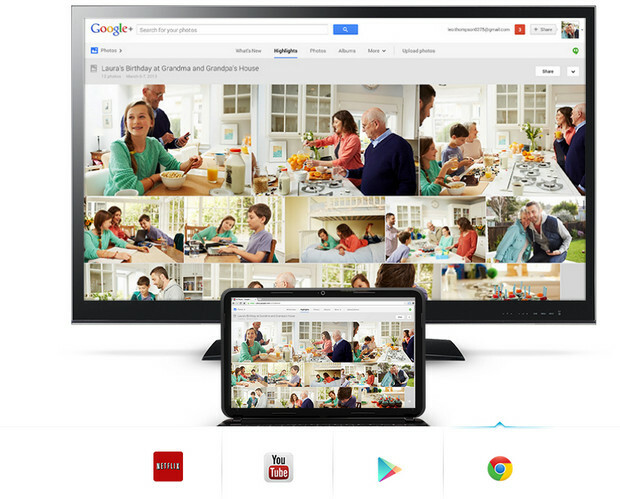 “You’ll see the cast button in your UI and you press it — Chromecast will pull the info you requested from the cloud and play it on your TV,” say Google. The video or music plays directly from the web without going through your phone or tablet first. Even if you decide to do something else with your phone, or if someone else needs to control playback with their phone instead, your movies or music keep playing without interruption. You can toggle between your phone and the TV easily, or build shared playlists with friends if their devices are in the same room as well, similar to the way the Nexus Q worked. 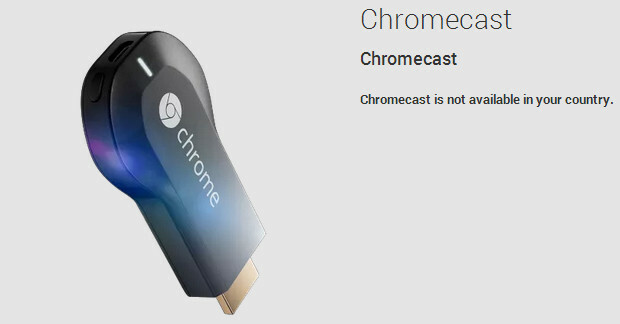 The Chromecast will also work directly with Chrome on the desktop, which will get a “cast” button for the toolbar that will push whatever’s in your current tab directly to the TV. You’ll be able to continue using your desktop while your tab is being projected, even if you open a new tab and keep working. It isn’t clear, though if you have to sign up to a subscription with that.